The building contains a new substation, a covered stop infrastructure for the tram route Ghent-Sint-Pieters – Flanders Expo and a pedestrian subway. 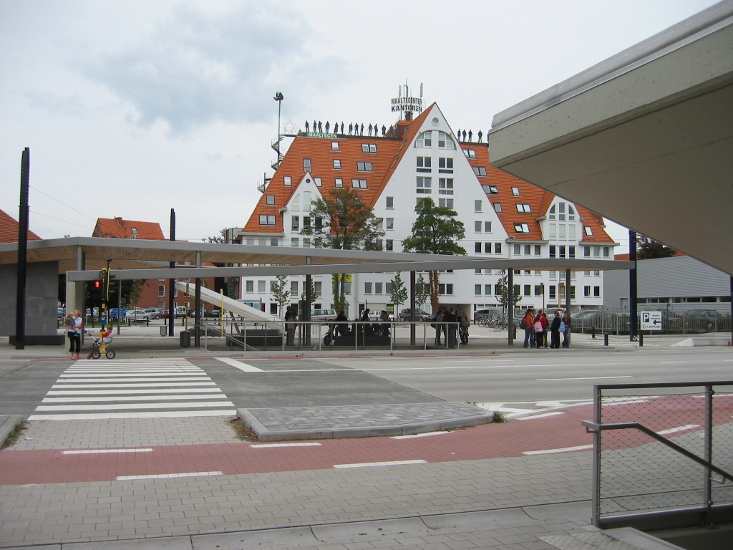 This commission is part of the study of the tram route Ghent-Sint-Pieters – Flanders Expo. The stop infrastructure is composed of 2 separate steel canopy constructions; one on both sides of the track route. 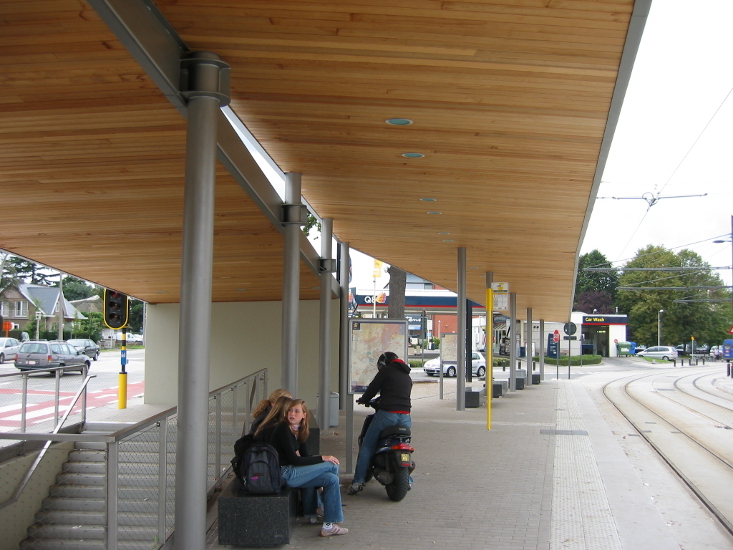 The maximum height of both canopies is 4.5 m. The line pattern of these canopies conducts the trams leaving the Kortrijksesteenweg. At the same time they shape the space between the street and the tram bedding. 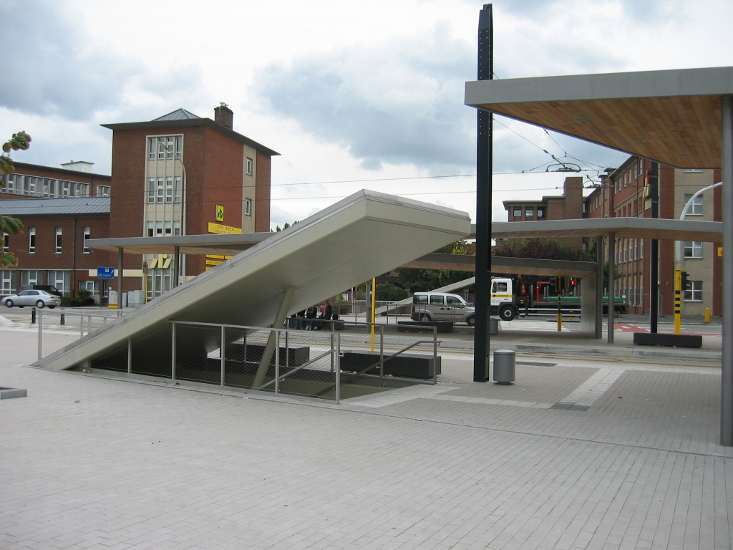 Under the canopy – direction Flanders Expo – a substation is constructed; it is a small closed monolith building, finished with bluestone on the outside.